Windows 10 run Windows Security and it has no buttons on the titlebar latest beta. Click Cortana search for Windows Security and run it. There is no such program as Windows Security that comes with Windows 10. 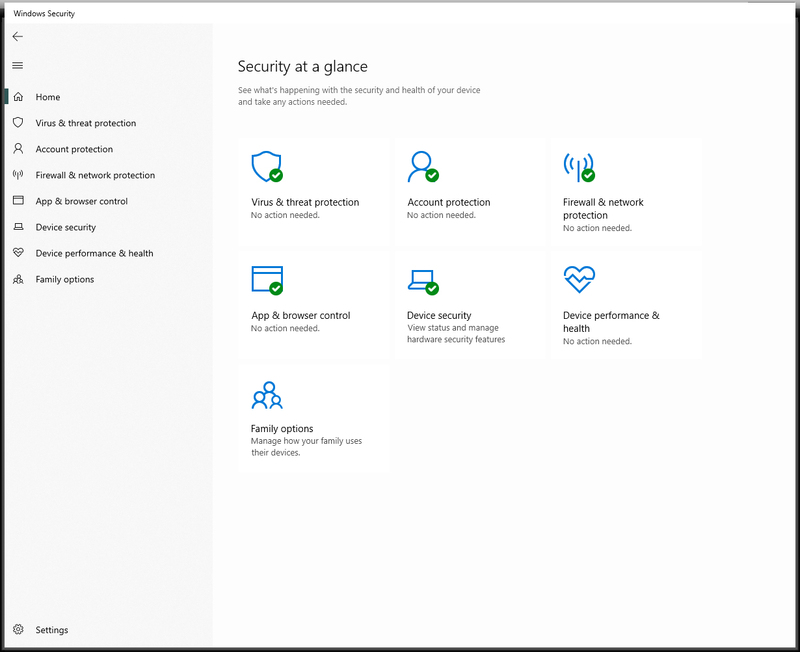 There is Windows Defender but I do not see what you mention. Can you be more specific? Is this a third party software you refer too? 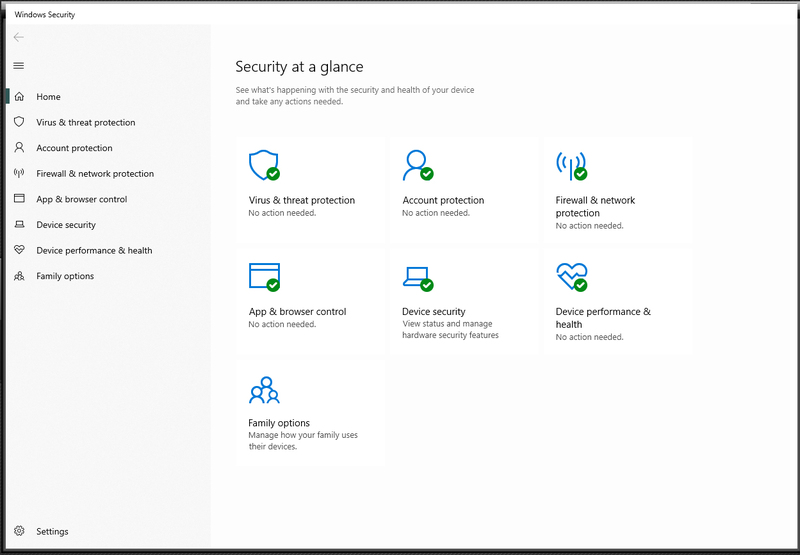 Click Cortana search for Windows Security and run it. You may have to do it twice. You only have to hit the W key it will be first in the list. You can also double click the security icon in the system tray if you have set to show the icon. So does that mean you are referring to Windows Defender? It is working just fine on my PC. Working fine here too. 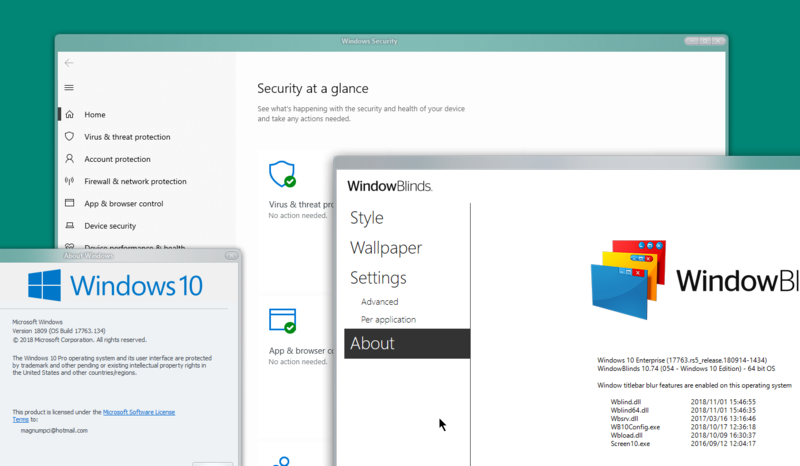 Are you using the insider build of Windows 10? 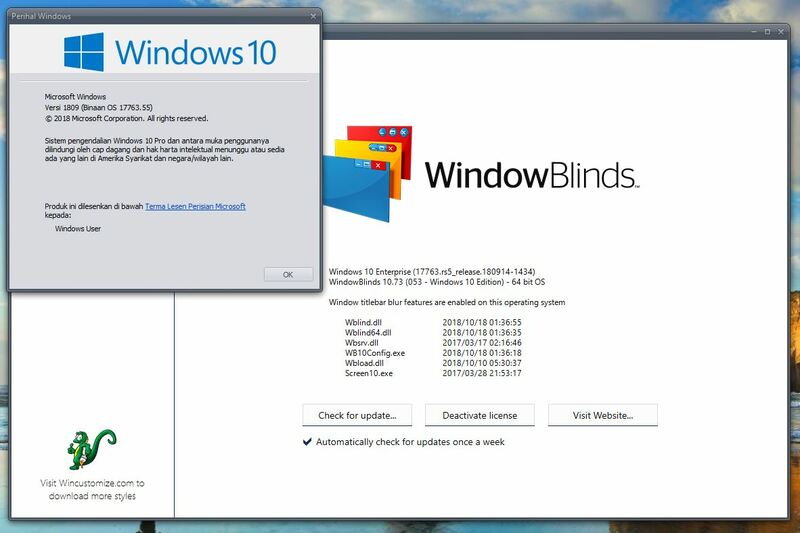 There has been some problems with Windowblinds and the insider build. Windows 10 X64 version 1809 does it on any skin I load I noticed if I click the Windows Security Icon on the taskbar then click it a 2nd time it shows the min max close buttons. I'd like to add that mail and calendar, photos, groove music and Camera store apps titlebars don't get skinned or should I say the skins go to the background. Are these bug posts being read or reported to the programmers? Hello, yes they are . 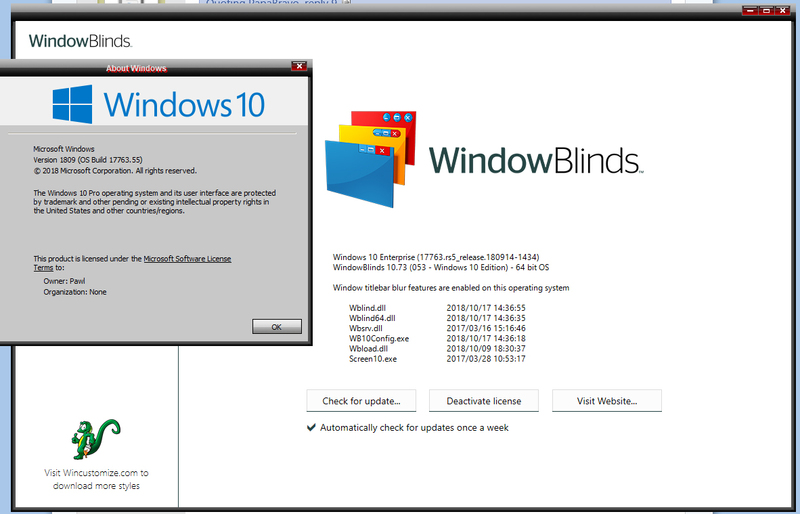 Hello, Could you post yours Windowblinds versions like screenshot below also include Winver.exe would be great. Are the issues I reported reproducible on your end? I'm worried it's just me although I tested it on numerous skins. Ok, thanks, I have forwarded your problem to Stardock Support team for their assistance. Please keep an eye on this thread for any updates. We appreciate your feedback and patience. what version is the latest beta? any word on the progress of windowblinds bug fixes? Check your Satrdock Account " My Downloads "
The windows security buttons are still missing and alot of the windows store titlebars are still in the back ground....seems like all the same bugs are there and they just removed beta from the name. Also, some UWP app title bars cant be skinned by WB. I did that and the problem still exists no matter what skin I run.